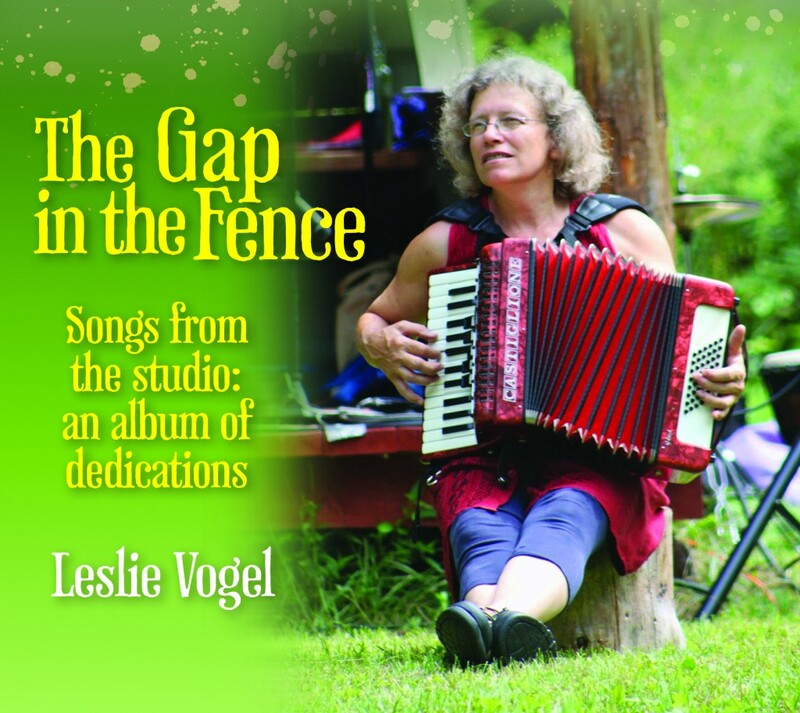 The Gap in the Fence is Leslie Vogel’s second solo album. Her enchanting, original songs take us on various rhythmic adventures – from an early morning gallop to picking blueberries under the sun, from a cheerful song about breakfast in the frying pan, to a lyrical ballad of a child growing up. Some songs and tunes inspire random singing and dancing in the kitchen, while the lullaby brings us full circle to a love of nature and the planet Earth on which we live. Leslie is assisted by several excellent musicians who add their special talents to the soundscape. Each song is dedicated to a person or group in a wide embrace of her family and community. Leslie is the founder and director of the Youth and Community Fiddle Orchestra, which has played at many local festivals and events, and brings live music to Youth Circus performances in the Monadnock Region of New Hampshire.